Looking for a healthy hors d’oeuvre which is high in protein? Or just a tasty starter other than chips and dip? How about liver paté served with savoury biscuits, poppadoms or melba toast? 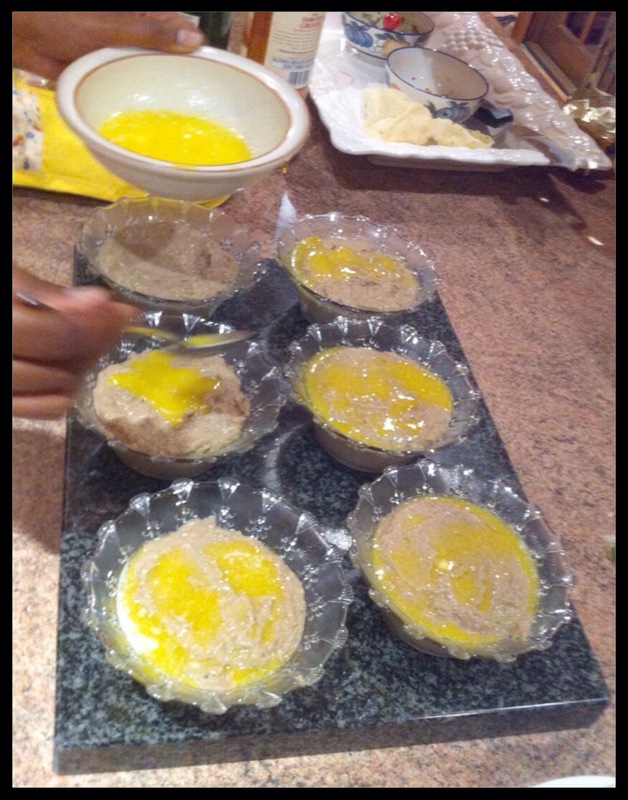 Geetha showed us how to make her famous liver paté… It’s a bit of a process, but really not too difficult and definitely worth it. 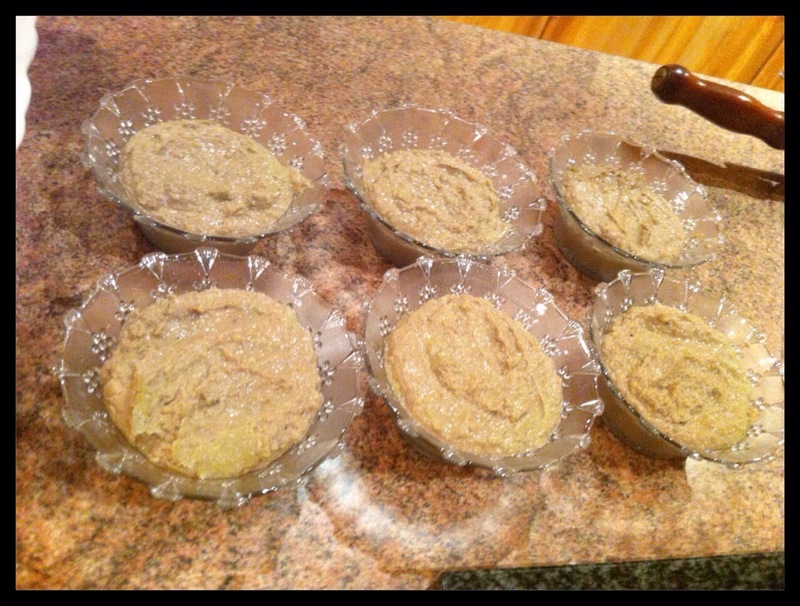 You can freeze the liver paté and just take a bowel out of the freezer on the morning you plan to serve it. 1. Melt 100g butter in saucepan on low heat. 2. Add chopped white parts of Spring onions to saucepan. 3. Add chopped onion to saucepan. 4. 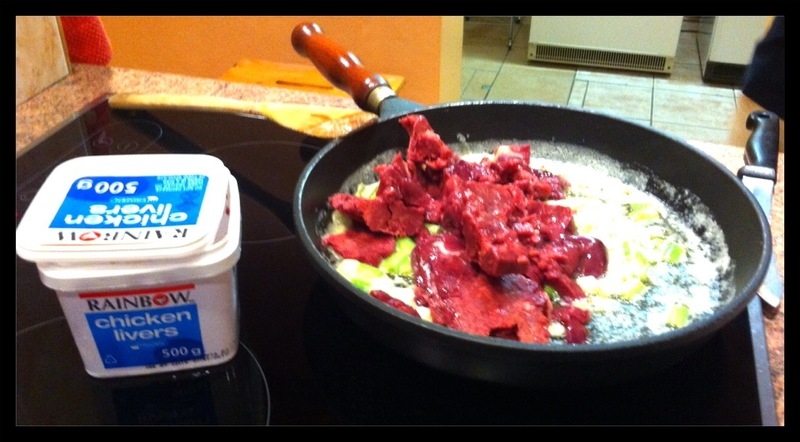 Add 500g chicken livers to saucepan. 5. Add crushed garlic cloves. 6. 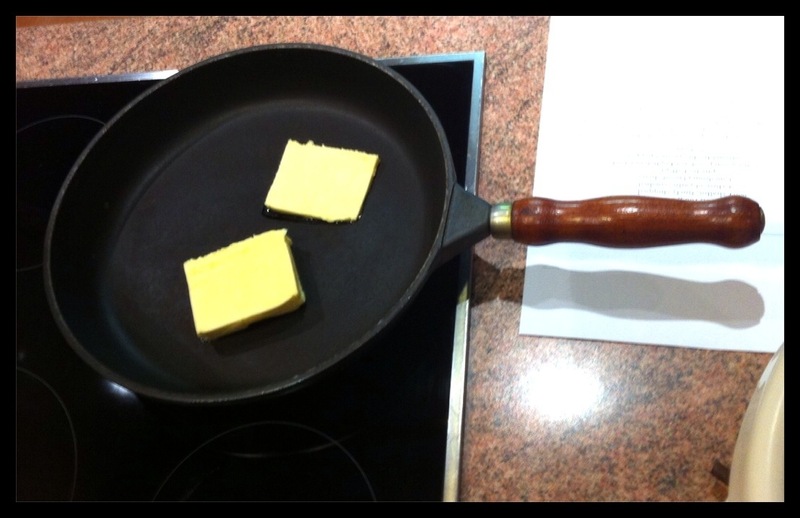 Add another 100g butter to saucepan. 7. Add liberal amounts of black pepper. 9. Add heaped teaspoon mustard powder. 10. Add about 1 and a half teaspoons of salt. 11. Add half a teaspoon Cayenne pepper and half a teaspoon Allspice. 12. Add 1 glass sherry. 13. 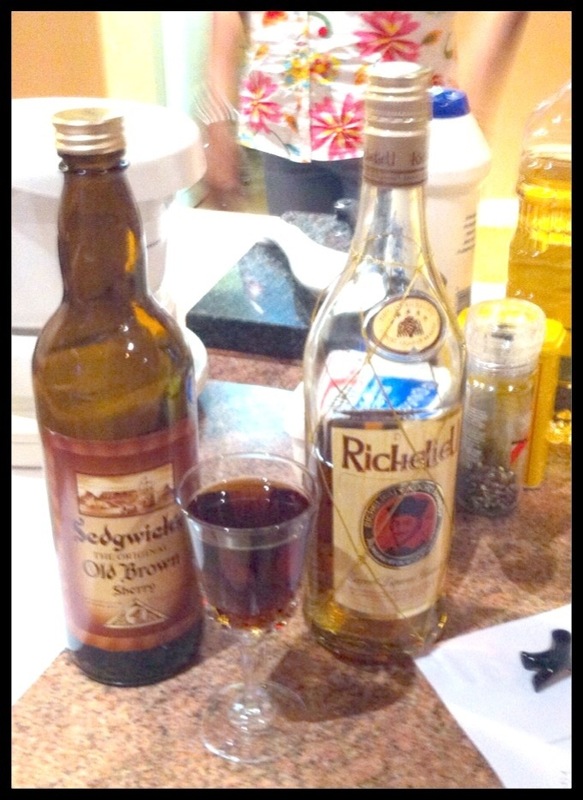 Add 1 and a half glasses brandy. 14. Add 2 whole eggs. 15. Put everything into a blender and blend mixture. 16. 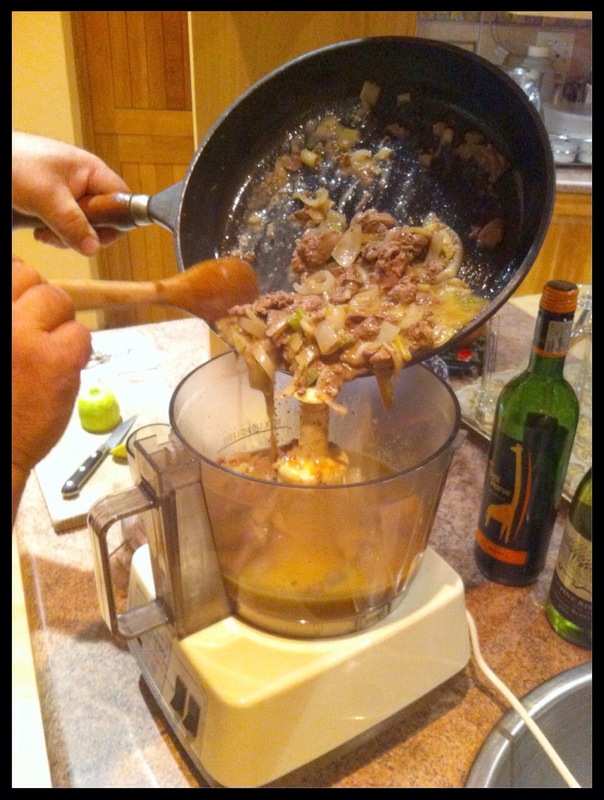 Once mixture is blended, pour it into glass dish. 17. 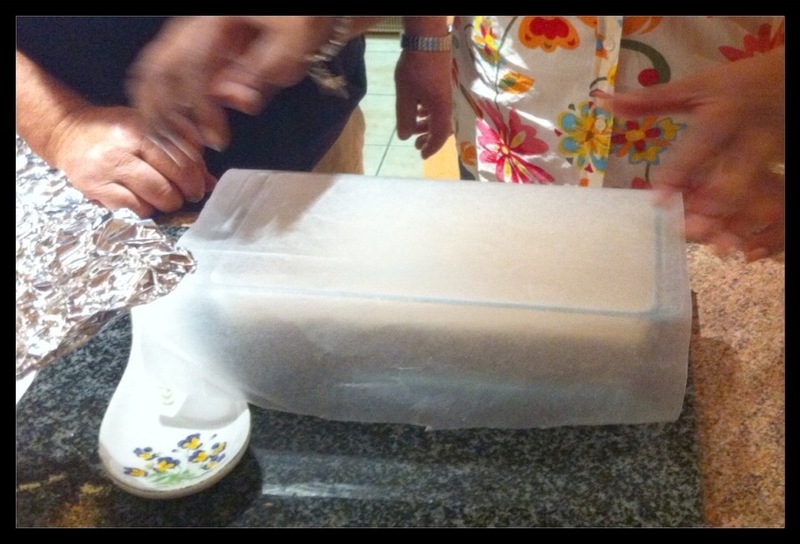 Cover this glass dish with wax paper then with foil. 18. 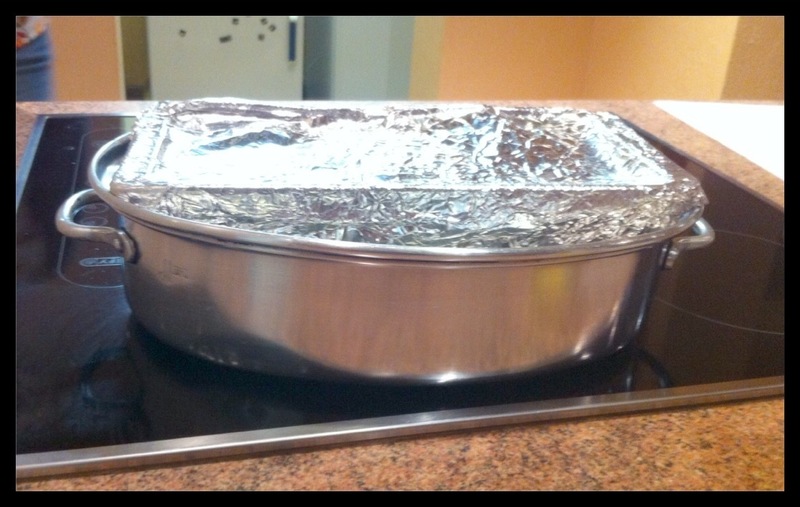 Fill a roasting dish about halfway with boiled water, then place the glass dish into the roasting dish. 19. Bake for 1 hour at 180 degrees celcius. 20. Once baked, remove from oven. 21. 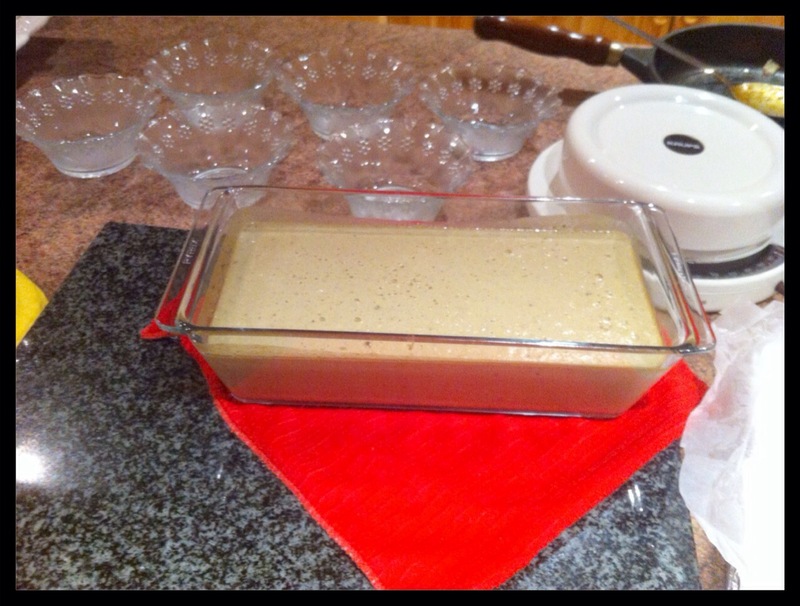 Divide baked liver paté into the 6 glass bowels. 22. Seal each bowel with some melted butter. 23. Sprinkle some parsley over every bowel and allow to cool. 24. Put in fridge if you plan to eat it soon, or otherwise put in freezer to use when you want. 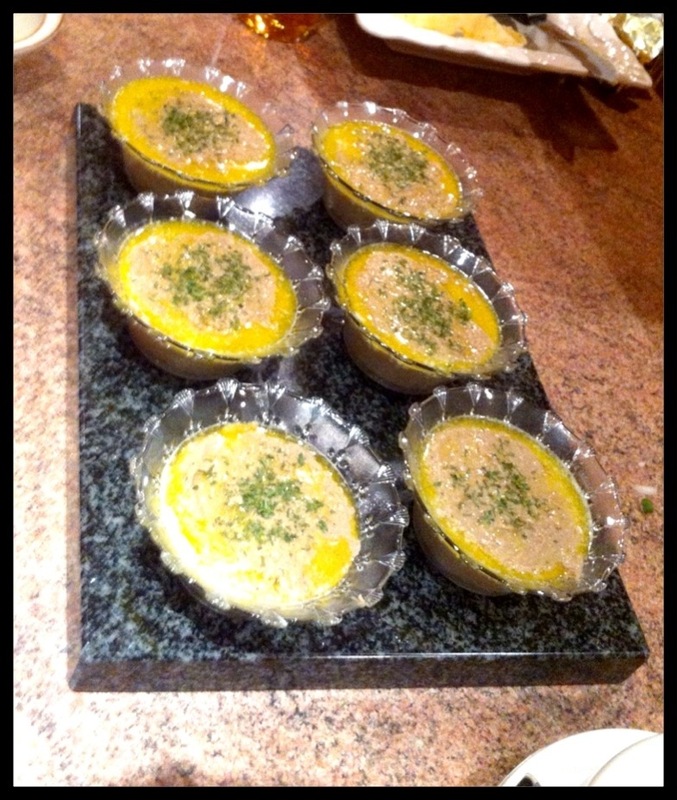 This entry was posted in Food, Snacks & Starters and tagged chicken liver pate, healthy snack, liver. Bookmark the permalink.